FACTORY DVD!!! NAV!!! LOADED!!! GORGEOUS!!! STUNNING CALIFORNIA ONE OWNER LEASE RETURN!!!!!! WOW!!! CERTIFIED PRE-OWNED WITH WARRANTY!!! BLUETOOTH!!! HANDSFREE CALLING!!! BACK UP CAM!!! AUX INPUT!!! SUPER CLEAN!!! CarFax has Certified a CLEAN TITLE, CLEAN HISTORY, CLEAN CARFAX!!! 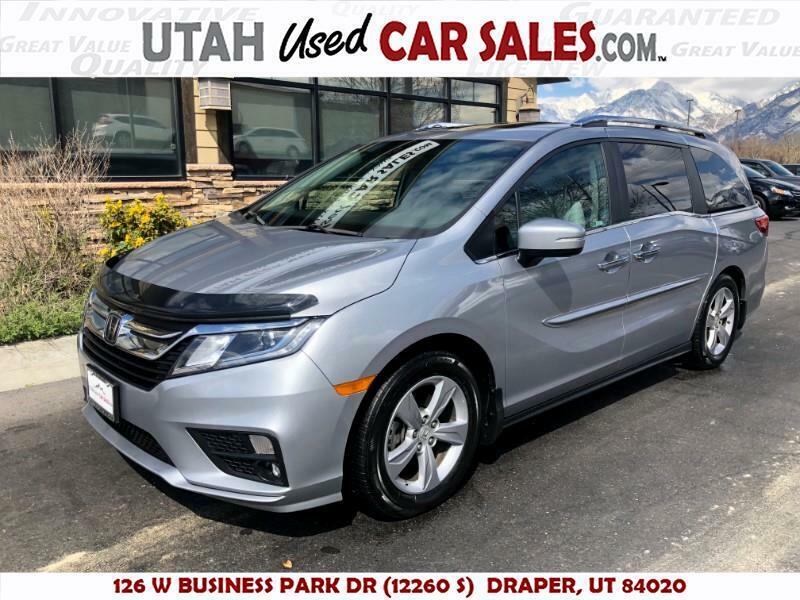 STUNNINGLY BEAUTIFUL 2018 Honda Odyssey EX-L!!! SERIOUSLY LOOKS LIKE NEW INSIDE AND OUT!!! Drives like a dream! Just buy and drive!! THIS PRICE IS SPECIAL INTERNET SALE PRICING ONLY. Utah Used Car Sales works hard to bring you the car you want at Utah’s BEST PRICES!!! Come check out our NO HAGGLE, NO PRESSURE WORLD CLASS CUSTOMER SERVICE. OUR ONLINE PRICES ARE INTERNET SALE SPECIALS. We won’t let you just be a satisfied customer, you will leave a RAVING FAN!!! Please make sure you bring the internet sales price with you either printed out, or on your phone. Message: Thought you might be interested in this 2018 Honda Odyssey.